Google plus pages is a great way to expose your brand to a popular Google Plus Social Networking Site. Many of you mistakenly do this as a brand page treating your personal profile, but this is a wrong approach. 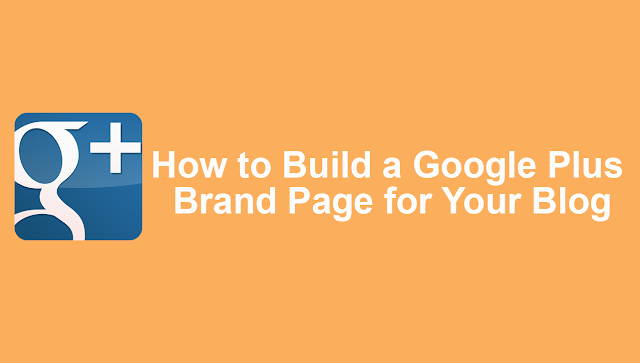 You should make a dedicated Google Plus page for your brand (Blog, Website or any other). In this guide we will learn to create a Google+ page. Before we go ahead, let's quickly create a Google+ page for our brand. When you create a page, it works like a Google+ profile, where you can share anything, including images and videos. You can start a hangout or add people to your circles. The only difference is that you can add only those people who have added you. 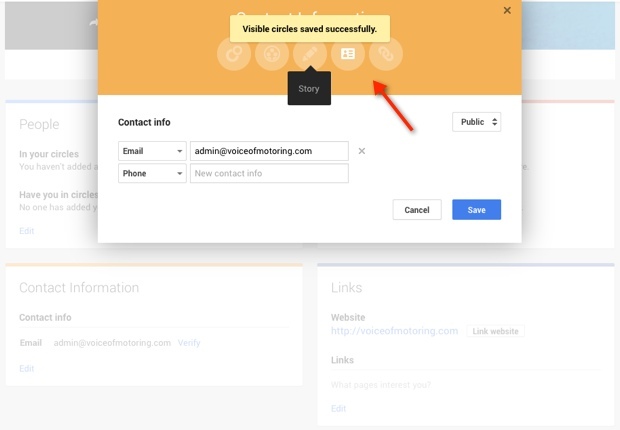 This feature can be very helpful for targeting your Google+ brand page. For example, you are in services, you can add a client based on loyalty and maintain the offerings on the basis of groups, etc. Ideas is limited, but this new follow-back feature is going to be beneficial for any brand. From the very first day, planning about the circle will be good, which will create you for your page. Anyways, let's start with your first Google+ page. 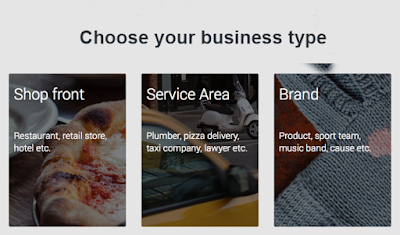 Go to the Create page and select your business type. 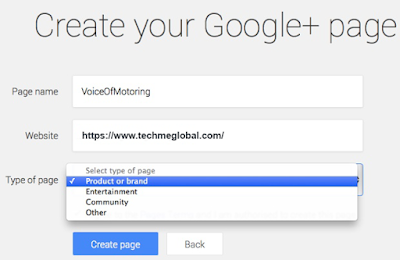 If you are creating a Google+ page for your blog, then you have to choose Brand as an option. Once you have selected a category, on the next page, give the name of the page, add your website and select Type of Page again. Click on the Create Page and the friendly Google plus for Business help tour will help fill in all your essential information. Click on edit and fill out all the information about your website / product on your Google+ brand page. I suggest you provide all the essential information about your brand, so that the one-time visitor also has the chance of following your Google+ page. You should add description about your brand and upload brand image. These image dimensions are Google Plus brand cover and profile photo. The maximum size of Cover Image can be 2120 × 1192 pix. The minimum size of Cover Image can be 480 × 270 pix. The Google+ team has provided a nice integrated image editor so that you can enhance your Google+ profile pic. Once you've created a Google+ page for your brand, you can share your page on your Google+ profile and also on other social-media profiles. This is the first step to fetch the followers on your Google+ brand page. If you own multiple pages, you can switch them easily by using the drop down on the left hand side. You can create a hangout with the right-hand side of your Google+ fans or share your page on your wall. Like Facebook fan page, Google+ brand pages also have photos and videos tab, which is very useful in user engagement. We will talk about user engagement somewhere in the post, but now it's time to grab your Google+ brand page. Google is launching its Google+ brand widget soon, which will be like Facebook's fan page widget, where users will quickly be able to add you to their circles. If you like this post, please share it. Subscribe to us and join us on Facebook, Google+ and Twitter.